If you have been wondering how the good boxers learned the impressive boxing techniques they exhibit in the ring, the mitts may be your answer. Focus mitt drills are designed to help you to develop your fighting reflexes, defense technique, fighting strategy, and punching technique. The benefits go further yet by providing intellectual stimulation towards becoming a better boxer. 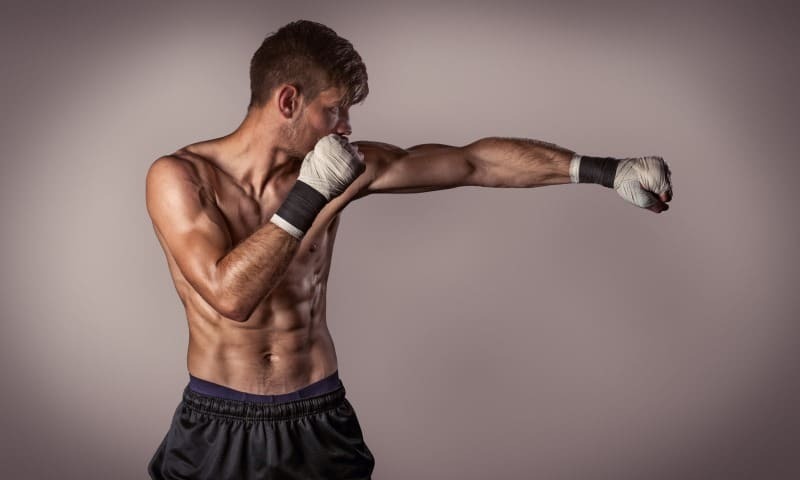 Although most boxers rely on focus mitt workouts to improve their speed and power, it is a versatile training method for anyone looking to develop their boxing skills. The workouts are great for developing accuracy, timing, rhythm, strategy and style. There are several common but effective mitt work drills that beginners can use to improve their footwork, counter all styles of opponents, improve coordination and reduce stress. Focus mitts are slightly curved, hand-held pads that are attached to a glove. They are used by boxing coaches and fitness instructors to “catch” punches from trainees. Focus mitt workouts, commonly known as punching the mitts, is a fun way of learning essential boxing techniques. In order to have a successful workout program, you will need to have the following equipment. Partner – You need a partner to hold the punch mitts, call out the combinations, and catch the punches you throw. A boxing coach or fitness trainer will be in a better position to guide you on how to throw your punches and improve your boxing techniques. Focus Mitts – Good focus mitts will give you a target at which to direct (focus) your punches. They are curved and padded to make it easier for your partner to catch the punches coming from you. The padding allows the fighter to punch with speed and power, thereby improving accuracy, power and speed. Boxing Gloves – Quality boxing gloves will allow you punch hard at the target. Since boxing gloves will protect both you and your partner, it is important to choose gloves made from quality materials. Comfortable boxing gloves will protect your hands and allow you to go full speed. MMA gloves are OK to use, but not preferred for this kind of workout. Timer – One of the aims of these workouts is to improve your timing and develop a rhythm. Some drills are done in timed rounds to create a circuit. A timer will not only help you to achieve this but will also help you keep track of all your rounds. The 8 Count Drill for beginners is a basic mitt drill that teaches the fundamental skills of boxing. The routine teaches how to strike and move within the boxing ring. You will also learn how to be in control so as to avoid being pinned down in one place by your opponent. The first punch you will throw is a jab. This involves throwing a punch with your left hand towards the left hand of your partner. The next step is called a cross. This will require the trainee to throw a punch with their right hand towards the partner’s right hand. This is followed by a lead hook, which is more like a repeat of the jab. The fourth step is a cross, just like in the second step of the drill. The pad holder will throw a lead hook, to which you should bow down and weave then throw a cross. Once you have thrown a cross, you should follow it with a lead hook. You should then bob and slip under the rear hook of the pad holder. This should be done while stepping out and turning, then followed by a lead hook. Finish the drill with a cross. This drill is used for warm up as well as for allowing trainees to learn how to fully extend their straight lefts and straight rights. Some of the benefits of the workout are that it helps you to grasp the basics of rhythm, timing and consistency. After several sessions, you will be able to do this smoothly and with the required speed and punching power. Cover and counter is a technique designed to provide a basic defensive technique which is followed by a counter attack against your opponent. The first step if to throw straight lefts and rights in quick succession. Each of your left should go towards the pad holder’s left and every right towards the partner’s right. As you do the 1, 2, 1, 2, the pad holder will throw a hook. You will need to cover in defense and then throw a punch to counter attack. This is one of the best ways to vary pad work so that you can get some experience of the intense environment of the boxing ring. It also makes it possible for trainees to learn how to defend themselves after throwing a combo, since this is the time that your opponent is likely to swing at you. The pads will be busy and the trainee will be defensive whenever not on the offensive. The pad holder will call out different combinations to guide your moves. The combinations involve jab, cross and hook. Jab is represented by the number 1, cross by 2 and hook by 3. The trainer will change the order of punches they call out depending on the workout. After every combo your mitt holder will swing at you so you can block the punch. You should throw a punch whenever you get the chance. Target practice is one of the best focus mitt drills for anyone who wants to increase their accuracy and speed. It also helps trainees to look out for opportunities to attack their opponent as well as to identify the best targets at which to throw punches. The training routine will help to develop your judgment in terms of distance, timing and perfect shots. Rather than calling out combos your partner will let you hit what you see. Your punches will follow the pad that is raised. Your mitt holder can also attack you to train you on how to be defensive. As the name suggests, this training routine is designed to help you counter attacks from your opponent. It helps the trainee to be alert at all times and to ensure that they are covered whenever they are not throwing punches. This drill is effective for developing speed, mental focus and ensuring fluid movement. The first step involves countering attacks from your partner. If your partner attacks you on your left side, you will use your left hand to throw a punch at the pad on his left hand. In the second step, your partner will allow you to throw punches in between the attacks. You will then need to counter each of their attacks. You can include uppercuts and kicks in the training routine to make it more intense. This training routine makes use of foam sticks to help you improve speed, power as well as your defensive techniques. All you need is a few pool noodles that you can find at almost any store. It’s a great way to mix things up and keep practice fresh. In the first step you will throw jab, followed by block and then another jab. Next, you will have to throw a jab using your right hand. Third, your partner will throw a lead hook, to which you will bow and weave before throwing a cross. The final step will involve a cross and a jab after bowing to your partner’s lead hook. Featured Image – Engin Karakaplan by Pyb / CC BY-SA 3.0, modification by MMA Revolution.